A fascinating exploration of the science of criminal investigations. 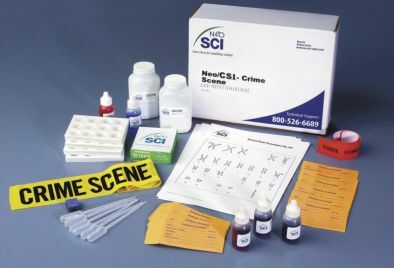 Examine the physical evidence of a crime scene and gather evidence. Perform various tests to analyse the evidence gathered. Identify the crime's victim through dental records and fingerprints. Perform tests to determine the cause of death. Analyse evidence to determine a suspect. Contains materials for up to 40 students.